In mathematics and digital electronics, a binary number is a number expressed in the base-2 numeral system or binary numeral system, which uses only two symbols: typically "0" (zero) and "1" (one). 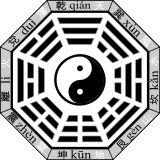 It is based on taoistic duality of yin and yang.eight trigrams (Bagua) and a set of 64 hexagrams ("sixty-four" gua), analogous to the three-bit and six-bit binary numerals, were in use at least as early as the Zhou Dynasty of ancient China. In the late 13th century Ramon Llull had the ambition to account for all wisdom in every branch of human knowledge of the time. For that purpose he developed a general method or ‘Ars generalis’ based on binary combinations of a number of simple basic principles or categories, for which he has been considered a predecessor of computing science and artificial intelligence. Fractions in binary arithmetic terminate only if 2 is the only prime factor in the denominator. As a result, 1/10 does not have a finite binary representation (10 has prime factors 2 and 5). This causes 10 × 0.1 not to precisely equal 1 in floating-point arithmetic. As an example, to interpret the binary expression for 1/3 = .010101..., this means: 1/3 = 0 × 2−1 + 1 × 2−2 + 0 × 2−3 + 1 × 2−4 + ... = 0.3125 + ... An exact value cannot be found with a sum of a finite number of inverse powers of two, the zeros and ones in the binary representation of 1/3 alternate forever. , and vice versa. Double that number is at least 1. This suggests the algorithm: Repeatedly double the number to be converted, record if the result is at least 1, and then throw away the integer part. The phenomenon that the binary representation of any rational is either terminating or recurring also occurs in other radix-based numeral systems. See, for instance, the explanation in decimal. Another similarity is the existence of alternative representations for any terminating representation, relying on the fact that 0.111111... is the sum of the geometric series 2−1 + 2−2 + 2−3 + ... which is 1.
, the square root of 2, another irrational. It has no discernible pattern. See irrational number. ^ Chrisomalis, Stephen (2010), Numerical Notation: A Comparative History, Cambridge University Press, pp. 42–43, ISBN 9780521878180 . ^ Rudman, Peter Strom (2007), How Mathematics Happened: The First 50,000 Years, Prometheus Books, pp. 135–136, ISBN 9781615921768 . ^ a b Edward Hacker; Steve Moore; Lorraine Patsco (2002). I Ching: An Annotated Bibliography. Routledge. p. 13. ISBN 978-0-415-93969-0. ^ a b Redmond & Hon (2014), p. 227. ^ a b Jonathan Shectman (2003). Groundbreaking Scientific Experiments, Inventions, and Discoveries of the 18th Century. Greenwood Publishing. p. 29. ISBN 978-0-313-32015-6. ^ Zhonglian, Shi; Wenzhao, Li; Poser, Hans (2000). Leibniz’ Binary System and Shao Yong’s ”Xiantian Tu‘‘ in :Das Neueste über China: G.W. Leibnizens Novissima Sinica von 1697 : Internationales Symposium, Berlin 4. bis 7. Oktober 1997. Stuttgart: Franz Steiner Verlag. pp. 165–170. ISBN 3515074481. ^ Sanchez, Julio; Canton, Maria P. (2007). Microcontroller programming: the microchip PIC. Boca Raton, Florida: CRC Press. p. 37. ISBN 0-8493-7189-9. ^ "Binary Numbers in Ancient India". ^ Stakhov, Alexey; Olsen, Scott Anthony (2009). The mathematics of harmony: from Euclid to contemporary mathematics and computer science. ISBN 978-981-277-582-5. ^ Bender, Andrea; Beller, Sieghard (16 December 2013). "Mangarevan invention of binary steps for easier calculation". Proceedings of the National Academy of Sciences. 111: 1322–1327. doi:10.1073/pnas.1309160110. PMC 3910603. PMID 24344278. ^ a b Bacon, Francis (1605). "The Advancement of Learning". London. pp. Chapter 1. ^ Shirley, John W. (1951). "Binary numeration before Leibniz". American Journal of Physics. 19 (8): 452–454. doi:10.1119/1.1933042. ^ Ineichen, R. (2008). "Leibniz, Caramuel, Harriot und das Dualsystem" (PDF). Mitteilungen der deutschen Mathematiker-Vereinigung (in German). 16 (1): 12–15. ^ a b Leibniz G., Explication de l'Arithmétique Binaire, Die Mathematische Schriften, ed. C. Gerhardt, Berlin 1879, vol.7, p.223; Engl. transl. ^ a b c J.E.H. Smith (2008). 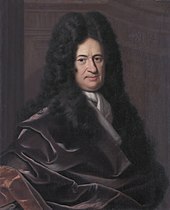 Leibniz: What Kind of Rationalist? : What Kind of Rationalist?. Springer. p. 415. ISBN 978-1-4020-8668-7. ^ Aiton, Eric J. (1985). Leibniz: A Biography. Taylor & Francis. pp. 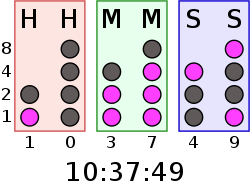 245–8. ISBN 0-85274-470-6. ^ Yuen-Ting Lai (1998). Leibniz, Mysticism and Religion. Springer. pp. 149–150. ISBN 978-0-7923-5223-5. 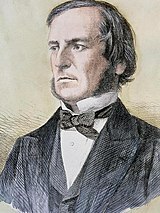 ^ Boole, George (2009) . An Investigation of the Laws of Thought on Which are Founded the Mathematical Theories of Logic and Probabilities (Macmillan, Dover Publications, reprinted with corrections  ed.). New York: Cambridge University Press. ISBN 978-1-108-00153-3. ^ Shannon, Claude Elwood (1940). A symbolic analysis of relay and switching circuits. Cambridge: Massachusetts Institute of Technology. ^ "National Inventors Hall of Fame – George R. Stibitz". 20 August 2008. Archived from the original on 9 July 2010. Retrieved 5 July 2010. ^ "George Stibitz : Bio". Math & Computer Science Department, Denison University. 30 April 2004. Retrieved 5 July 2010. ^ "Pioneers – The people and ideas that made a difference – George Stibitz (1904–1995)". Kerry Redshaw. 20 February 2006. Retrieved 5 July 2010. ^ "George Robert Stibitz – Obituary". Computer History Association of California. 6 February 1995. Retrieved 5 July 2010. ^ "Konrad Zuse's Legacy: The Architecture of the Z1 and Z3" (PDF). IEEE Annals of the History of Computing. 19 (2): 5–15. 1997. doi:10.1109/85.586067. ^ a b Küveler, Gerd; Schwoch, Dietrich (2007-10-04). Informatik für Ingenieure und Naturwissenschaftler: PC- und Mikrocomputertechnik, Rechnernetze (in German). 2 (5 ed.). Vieweg, reprint: Springer-Verlag. ISBN 3834891916. 9783834891914. Retrieved 2015-08-05. ^ "Base System". Retrieved 31 August 2016.